The blurb to Meredith Wattison’s terra bravura states that the collection differs from her previous work in that it is “fully autobiographical”. This position is announced boldly from the very first line, and resonates throughout the volume, with a complex weave of visual and narrative threads stitching this collection – and its subject – across time, memory, and history. From European beginnings to the vast dry centre of Australia, to domestic details past and present, terra bravura explores the complicated web of identity back through the poet’s father, now living with dementia, to her paternal great-grandmother. In length on par with Wattison’s previous collection Basket of Sunlight, the volume consists of 52 poems and two essays, many of which have been previously published and/or anthologised. It was interesting to note the quartet of poems in the volume that had appeared in Best Australian Poems from 2009 to 2012. Production here is even more minimalist than Puncher and Wattmann’s usual clean and restrained style, with every poem in terra bravura presented title-less, each identified in the contents pages by first line only. here is the puller of our unborn feet. rubs and clings against another. In an article for Poetry magazine, Billy Collins discusses Matthew Williams’ notion of “aesthetic intimacy” (287) in autobiographical poetry: the seductive suggestion of reader-speaker transparency often at play in such work. 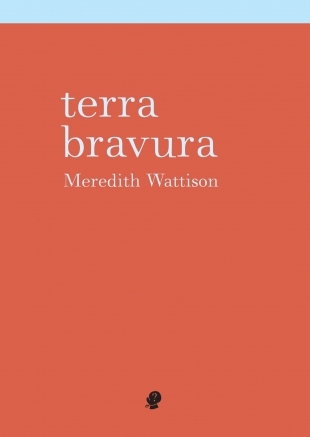 In terra bravura, a layer of intimacy is certainly there, but Wattison, with her density of imagery, cultural allusion and sheer virtuosity of language, makes the reader work for the experience of it. The vast landscape of her lexicon often others the tongue in attempting it. The reader can find themselves wrestling with this fierce, shifting ‘swan-skinned’ subject. This is of course as it should be, in a work concerned with the mercurial nature of memory, autobiography and family lore. In the ‘open letter’ included at the end of the volume (130-136), Wattison claims the “images… in [Allen Fisher’s mixed media work] ‘Sputtor’… were a catalyst for [her] fearful and joyful six year old self; her sharp experience and memory resurfaced” (131). Finally able to move through the creative impasse in which she found herself leading up to publication, Wattison wove a childhood perspective throughout the collection. For this reader, it is these ‘childhood’ poems which provide the energetic shifts that drive the reading experience of terra bravura. Poems such as the poignant “I comment on the ginger flowering freesias” (109), offer a vulnerability that yolks the whole collection together. While the more abstract poems in terra bravura are certainly impressive, in imagery, cadence and precision of language, it is these glimpses of domesticity and autobiographical intimacy which provide the more satisfying access points, and give the collection its forward momentum. Overall, accessing these poems can be thorny work. No less, however, than the journey undertaken by their author. Reading terra bravura, we wear some of the subject’s wounds “under the cutting cutter moon” (28) and thus become participants in the ritual of Kaddish performed by the collection. These (nameless) poems bristle with the oppressive emotions of family lore, and so they find their way into you, across flesh, resistance. Sometimes it may sting a little; all the better to remember them. Wattison, Meredith. Basket of Sunlight. Puncher & Wattmann, Sydney, 2007. WILLOW DRUMMOND is a PhD candidate in creative writing at Macquarie University. Recently migrated from the wilds of the NSW Blue Mountains to the shores of Sydney’s Parramatta River, she has weathered previous lives as an actor, singer-songwriter and arts administrator. 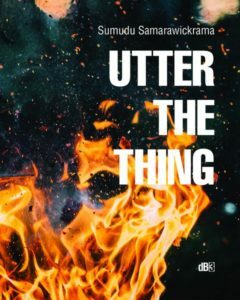 In 2014 Willo completed a Master of Research thesis examining the ethics of the lyric mode in Australian ecopoetics; “Cooing to Robert Adamson” formed part of this work. Willo’s writing is published, or forthcoming, in Cordite, Meniscus, The Quarry, Australian Poetry Anthology and Bukker Tillibul. Further details at www.willodrummond.com.